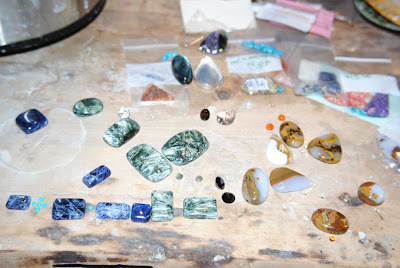 It's a funny thing, designing with gemstones. It becomes so serious. These tiny treasures are all packed in their own individual little bags, labelled and organized. It makes it difficult when you have to look at only one stone at a time so that they don't get all confused and disorganized. 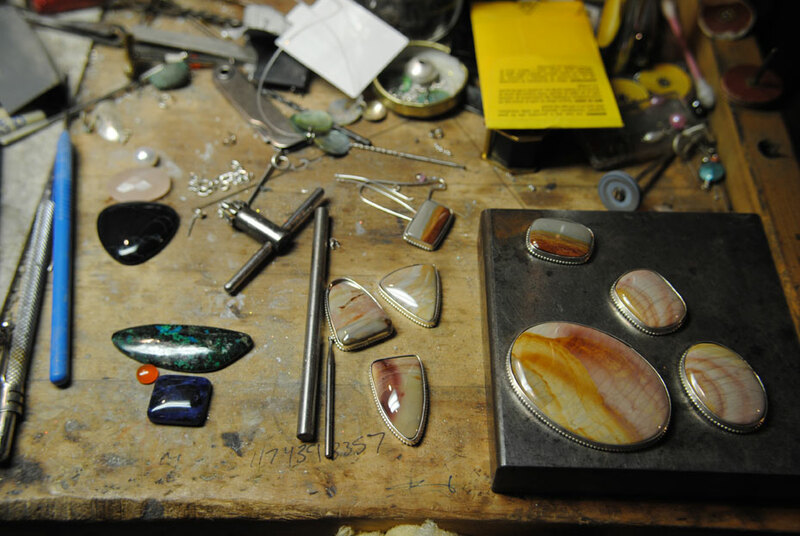 The issue of organization makes these pictures a glimpse of a rare event in the studio. Stone party! Every once and a while, lots of the stones need to come out to play together to find their soul-mates. Carnelian mingles with turquoise next to sodalite and serephinite, and suddenly, colko agate falls in love with citrine, while rose quartz and spiderweb obsidian are making out in the corner. Some stones will leave the party alone, rouge individuals who wish for no company. The others will be paired and grouped with bright sparkling accents for the second design stage: sketching.